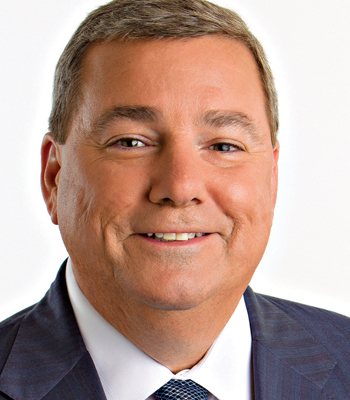 Stephen P. Joyce is president, chief executive officer, and member of the board of directors of Choice Hotels International. With a career in the lodging industry spanning over three decades, Joyce has a proven track record of developing and growing some of the best-known hotel brands in markets worldwide. Since Joyce took the helm of Choice Hotels in 2008, he has led the company on an impressive and focused growth strategy, resulting in a significant gain in the company’s market share position, expansion into new markets and the advancement of new brands. In his first four years of leadership as president and CEO of the company, during one of the most historically challenging environments for the industry, Choice outpaced industry supply growth and increased market share, as well as led hotels in the Choice system to improved guest satisfaction results and RevPAR index versus its competitors. Joyce also has greatly expanded Choice’s industry profile and corporate social responsibility initiatives, including the establishment of a multi-year signature cause partnership with Rebuilding Together, the nation’s leading nonprofit working to preserve affordable homeownership and revitalize communities throughout the United States. Since the program launch in September 2009, Choice associates and franchisees have donated almost 10,000 volunteer hours and helped make a difference in local communities across the U.S. by serving nearly 11,000 individuals. The estimated market value of the Room to Rebuild projects is over $3.2 million. Prior to joining Choice Hotels in May 2008, Joyce served as executive vice president, global development/owner and franchise services for Marriott International, where he was responsible for the development of Marriott’s lodging brands worldwide. Under his leadership at Marriott, its global development group successfully grew the company’s hotel brands worldwide including all mixed-use and real estate development. Prior to leading Marriott’s growth efforts, Joyce held previous positions in franchising, finance, and operational consulting. An active member of the lodging industry and business community, Joyce serves on a variety of boards and community organizations. A long-standing member of the International Franchise Association, Joyce has held many leadership roles there and is the incoming chairman, effective 2014. He is the former chairman of the U.S. Travel Association and is currently the vice chairman of the board of trustees of the ServiceSource Foundation. He has served as a member of the board of directors for: DineEquity, Inc.; the Wolf Trap Foundation for the Performing Arts; the Autism Learning Center; and The Real Estate Roundtable. Joyce was a recipient of the 2010 Community Partner Award from ServiceSource Foundation and was also named Maryland Business Gazette’s 2010 Executive of the Year. In 2012, he was honored by the Hospitality Division of the UJA-Federation of New York for his outstanding professional and philanthropic work. Joyce holds a bachelor’s degree in commerce from the University of Virginia and has done graduate work at Cornell University, Wharton Business School, and the Aspen Institute.